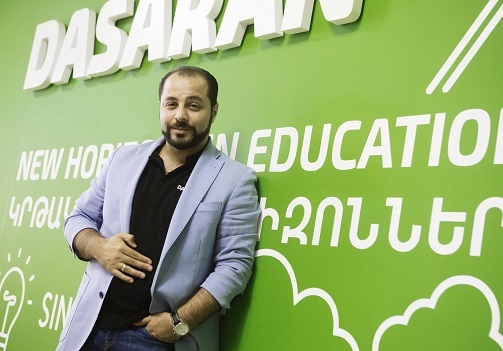 The DASARAN Educational Program is an award-winning Armenia-based EdTech platform that is elevating learning and educational processes across Armenia in big ways. SEE Change recently spoke with founding president and CEO, Suren Aloyan to learn more about this social enterprise and its impact on the educational system in Armenia as well as its role in the democratization of access to high-quality education. What was the inspiration behind developing DASARAN? 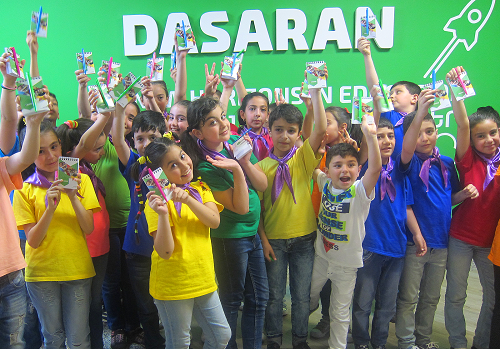 DASARAN (which means “classroom” in the Armenian language) is a simple-to-use cloud-based Educational Development System that provides transparent and innovative performance management and data analysis services combined with interactive learning content and communication channels for K-12 students, parents, teachers, administrators, and policymakers. If we consider education as a basic human right, then every child in the world should have the right to basic education and we must do our utmost to ensure that. In 2013, UNESCO reported that globally, 59 million primary school-age children – one in 10 girls and one in 12 boys – were not in school. Out-of-school rates are even higher in rural areas – children from the poorest 20 percent of households are nearly 4 times more likely to be out of school. Moreover, societies all around the world face the constant challenge of retaining qualified teachers, especially in rural and peripheral areas. In one-third of the countries for which there is data, UNESCO reports show less than 80 percent of primary school teachers are trained up to national standards which greatly affects the performance of students and undermines equal learning opportunities. Armenia, as a developing country, is no exception. Data shows that the dropout rate for students from poor families is about 35 percent in Armenia, while public spending on education is one of the lowest in the EU and among OECD countries. So there has always been a natural urge among Armenian social entrepreneurs to change this equation. I returned to Armenia after completing my postgraduate studies in the U.S., determined to create a social business solution to address the state of our education system which led me to launch the DASARAN platform in 2009, hoping to equalize the learning opportunities and decrease regional disparities in education. I’m proud to say that DASARAN’s innovative educational solution and proven experience in policy intervention mechanisms for the achievement of target educational UN SDG, has been recognized by the UNDP, as one of the best technological solutions in the education field in Armenia. In 2016 DASARAN was also recognized as one of the best five innovative enterprises in the world in the UNDP’s Accelerate2030 initiative, aimed at supporting impact-driven ventures that contribute towards the achievement of the SDGs. We were also awarded the Best Startup Award at the Copenhagen Euroscience Open Forum. What’s important about our platform is that it helps build infrastructural capacity through low-cost, yet high-quality innovative technologies for more efficient educational solutions that address UN Sustainable Development Goals (SDGs). In line with the world’s best practices, DASARAN disrupts the entire public education ecosystem by helping meet educational-technological development goals, advancing evidence-based decision-making, improving student performance, and augmenting teacher capacity. The platform’s impact is achieved through some major components. There’s a learning management system that combines classroom management, journals to help track assignments and homework, student performance statistics, etc., that provides insights to all education stakeholders and promotes transparency in public schools. The system helps schools set standards and establish routines (such as annual reports, school report cards, etc.) to further build their capacity, sustainability and withstand changes in school administration and political priorities. A data analytics tool for educational policy-making allows for monitoring of schools and more accurate measurement of education indicators across a country. The tool provides real-time statistical data and comparative analysis on school management efficiency, school enrolment, and student performance using various indicators. This helps policymakers to analyse educational conditions and to assess the different diagnostic information to bring quality education to every student. DASARAN also offers coaching to teachers and administrators to help build a culture focused on making informed, data-based decisions. Our customized e-learning and gamified education approach covers a wide range of topics as disaster risk reduction, environmental protection, energy conservation, human rights, constitutional rights, intercultural learning, social inclusion, tolerance among others. This approach allows DASARAN not just to teach students a set of knowledge and information, but to shape their behavioural patterns as civil citizens. How has DASARAN impacted Armenia’s education and learning sector? DASARAN has proven its concept in Armenia – a country of 3 million – and achieved 100 percent penetration into the education system, connecting all public schools across the country to a unified platform. The DASARAN platform is currently used by one third of the entire population in Armenia – over 1 million people, including K-12 students, parents, teachers, principals and policy-makers – making DASARAN an inseparable part of their school lives and the national education system in general. government level, real-time data collection and processing that help reduce corruption risks in the public education system. DASARAN has shifted the behavioural patterns that affect how students learn, how teachers interact with students, and how parents learn about their children. It has raised parents’ and guardians’ participation and active engagement in their children’s school lives allowing parents access to their children’s performance statistics to ensure they’re on the right track, set goals with them, and foster the achievement of these goals. Parents are now advocating for improvements in school policies, keeping schools accountable based on statistical data, to ensure their children are provided high-quality education. The platform has also significantly increased teachers’ ability to predict and develop individual student learning plans based on data — reducing the time required for state-level data collection and processing to mere seconds. In the process, we have been instrumental in reducing corruption risks in the education system through increased transparency for stakeholders, promoting equal educational resources and opportunities for all. What type of international collaborations have you established for specific needs, like refugee populations for instance? We have formed a wide array of local and international partnerships with relevant state authorities, international organizations, private and public companies. Thanks to its broad user base and mechanisms for cost-efficient knowledge-delivery, DASARAN has become a kind of virtual hub for the local and international institutions and organizations as the World Bank, UNDP, UNICEF, the European Union, the U.S. Embassy, USAID and Save the Children, among others. One of our most recent collaborative projects targeting refugee populations was implemented in cooperation with the U.S. Embassy in Armenia and the Save the Children International Country Representation of Armenia – aimed at increased integration of displaced children from Syria through promoting a tolerant and friendly environment in Armenia’s schools using DASARAN’s digital platform and tolerance education materials developed by Save the Children International. The outcome was the development of “DiverCity” game which was incorporated into the DASARAN Educational Platform and made available to more than 1 million registered users (including school students, parents/guardians, teachers, principals). We officially launched the game in September 2017 and to date it has been played by 38,669 students for more than 103,000 times. Can DASARAN help the growing refugee population, often deprived of educational resources and falling behind academically? At the core of DASARAN’s solutions is the idea of providing equal access to all children, irrespective of their social background or geographical location. DASARAN’s solutions have many advantages. For example, it has an easy-to-use/user-friendly e-platform tailored to the needs of diverse groups of beneficiaries and stakeholders and is easily customizable which helps it adapt to the language and specifics of an educational system and/or environment. The educational content incorporated into DASARAN’s platform as it stands now, goes beyond any country or national boundaries. It’s providing knowledge and information on topics and subjects which are of global nature, thereby facilitating their adaptation and compliance with the basic needs and requirements for any group of children – including refugee children. 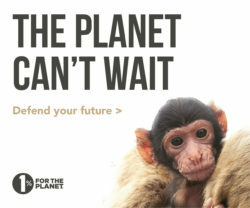 But most importantly, our platform has mechanisms for tracking each child’s performance (both within school curriculum and within the alternative educational resources and e-games on the platform) to guide and inspire continued growth and development and strife to acquire new sets of knowledge, information and skills through the platform. There’s no need for advanced technological parameters or advanced computer devices to access our platform – so it can be easily integrated into refugee camps to create opportunities for both individual and peer learning. How would school departments and education ministries in other countries be able to use DASARAN ? Well, once they are subscribers of our platform, they can access all our unique resources. With support of our friends and colleagues from Harvard University, DASARAN team developed a statistical data analytics tool, connecting the existing data to the respective indicators and transforming those into relevant information for state-level policy-making. Our advanced online statistical-analytical tool (E-STAT) allows for comprehensive insights into the education system allowing DASARAN to facilitate a more effective monitoring of schools and more accurate measurement of education indicators across a country (e.g. growth inclination towards STEM areas or humanities etc.). Our big data analysis capability is extremely critical from the perspectives of strategic planning and evidence-based educational decision-making – it clearly identifies the gaps and challenges in the school education system, promoting their solution through the introduction of new policies, regulations or activities taking into consideration future trends and needs of the society and the economy. What are your future plans in expanding DASARAN across the region – and beyond? Building strong civil society through not just teaching but also shaping behavioural patterns of the children. With the envisaged international scale-up of DASARAN and its incorporation into educational systems of developing countries and communities, we believe DASARAN will have its essential contribution to achieving all the social impacts that we just discussed particularly in developing societies. We also have a well-established international recognition supporting the strength of our solutions, and this will help attract interest from potential governments, education ministries or international development agencies from around the world who can contact us to discuss implementing our platform in their country.